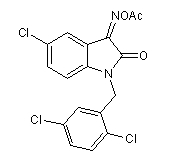 NSC 632839 is an Inhibitor of ubiquitin isopeptidase activity. Inhibitor of ubiquitin C-terminal hydrolase-L1 (UCH-L1) activity (Ki = 0.4 μM). 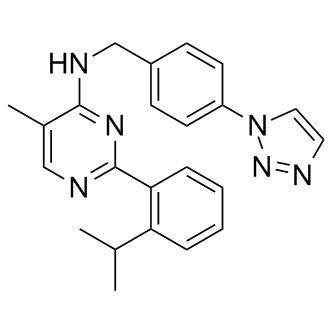 USP7/USP47 inhibitor is a selective ubiquitin-specific protease 7/47 (USP7/USP47) inhibitor, with EC50s of 0.42 μM and 1.0 μM, respectively. 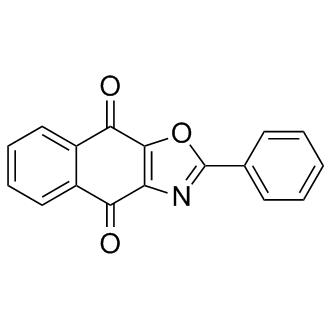 PR-619 is a broad-range DUB inhibitor with potential for further development as a chemotherapeutic agent in cancer therapy. 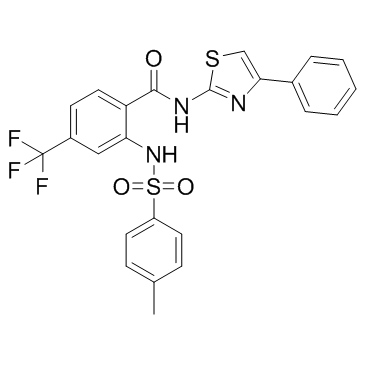 ML364 is a small molecule inhibitor of the deubiquitinase USP2 with potential anticancer activity. 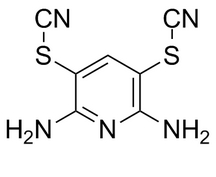 ML323 is a reversible, potent USP1-UAF1 inhibitor with IC50 of 76 nM in a Ub-Rho assay and 174 nM and 820 nM in orthogonal gel-based assays using K63-linked diubiquitin (di-Ub) and monoubiquitinated PCNA (Ub-PCNA) as substrates, respectively.